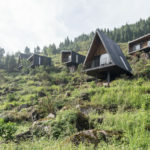 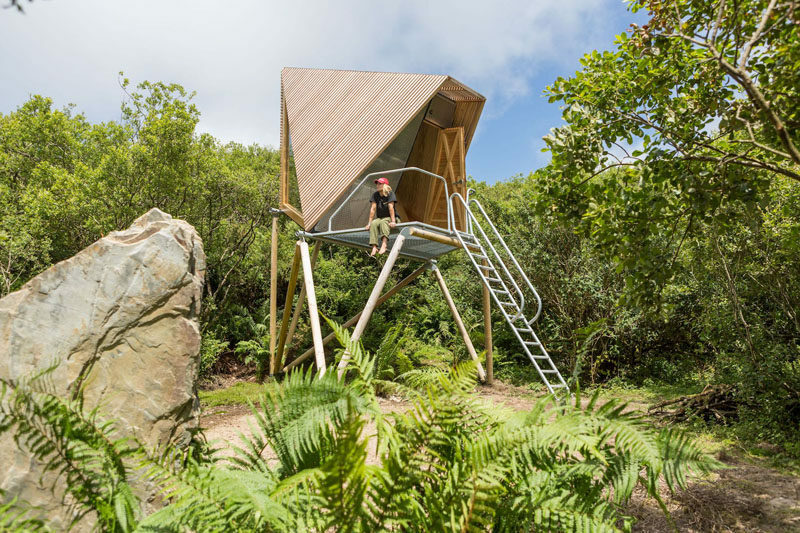 New British Design’s latest installation is the creation of four unique wilderness cabins – or ‘Kudhva’ – that are located in a disused slate quarry on Britain’s North Cornwall coast. 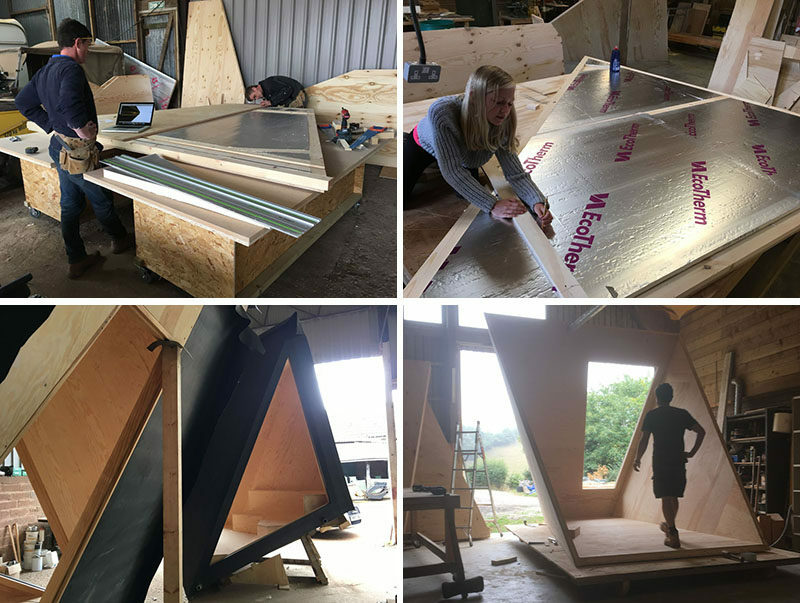 The cabins, designed in collaboration with client Louise Middleton, are intended to be the first phase of a wider masterplan for the site, offering the public the chance to experience temporary small scale experimental architecture. 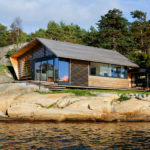 The cabins were built by boat builder turned furniture maker Toby Sharp, together with a small team of master craftsmen in a nearby workshop. 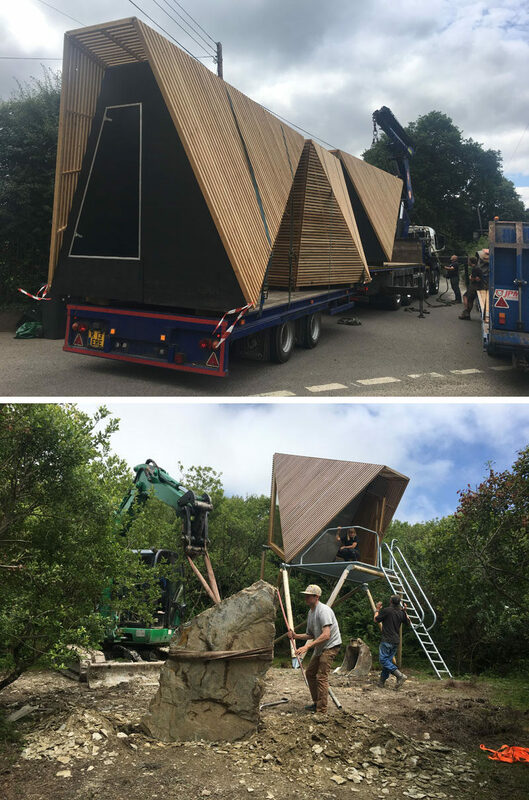 The cabins were then assembled and transported to site before being craned onto their cradle bases. 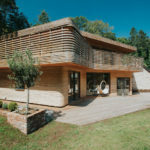 Constructed from structural, insulated paged-pine panels with an EDPM rubber membrane covering, each pre-fabricated design was intended to offer a unique perspective on the Cornish landscape from their elevated position amongst the trees. 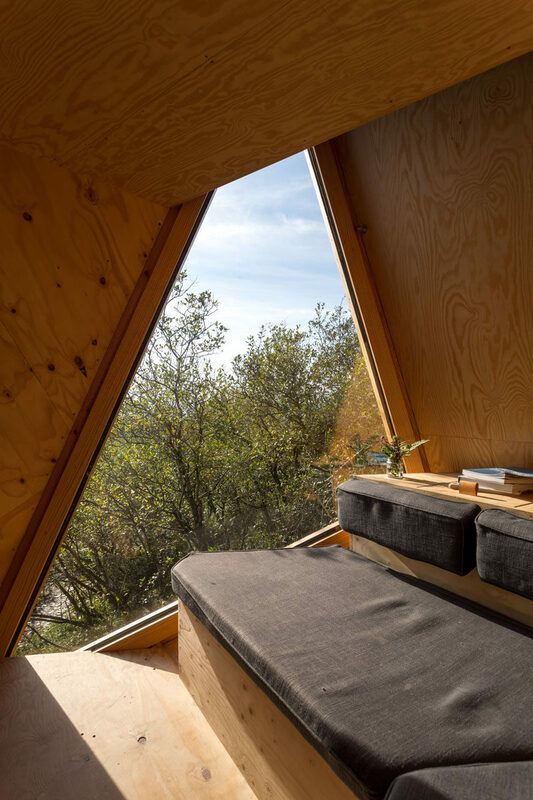 Available to rent, each cabin has a small sitting area positioned to take advantage of the large angled window. 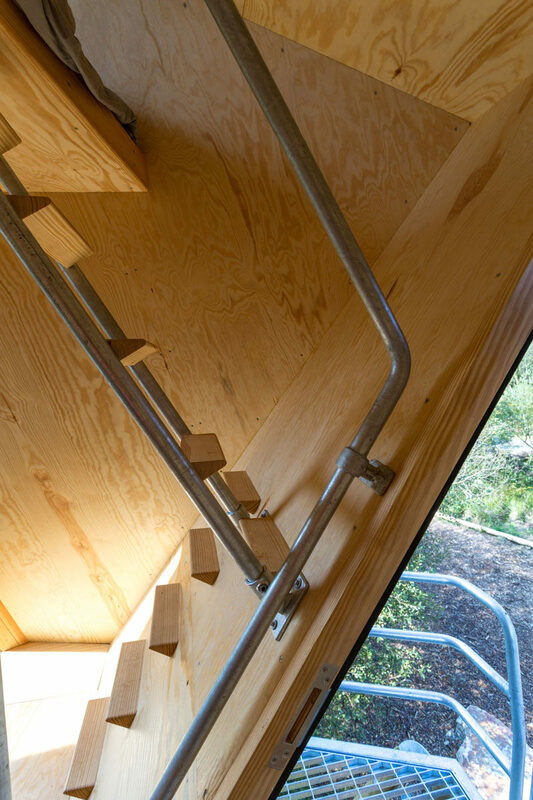 Simple stairs with tiny wood treads have galvanised steel railings that lead up to a sleeping loft. 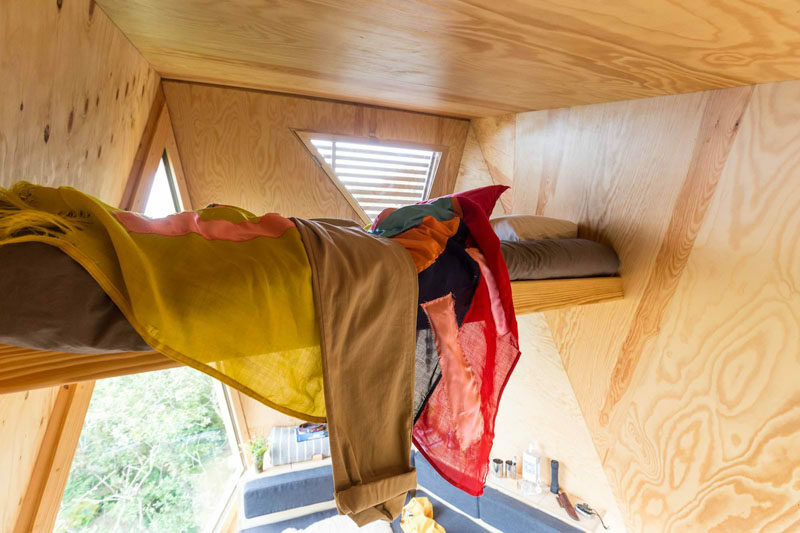 The sleeping loft is perched between the angled walls and has a smaller window. 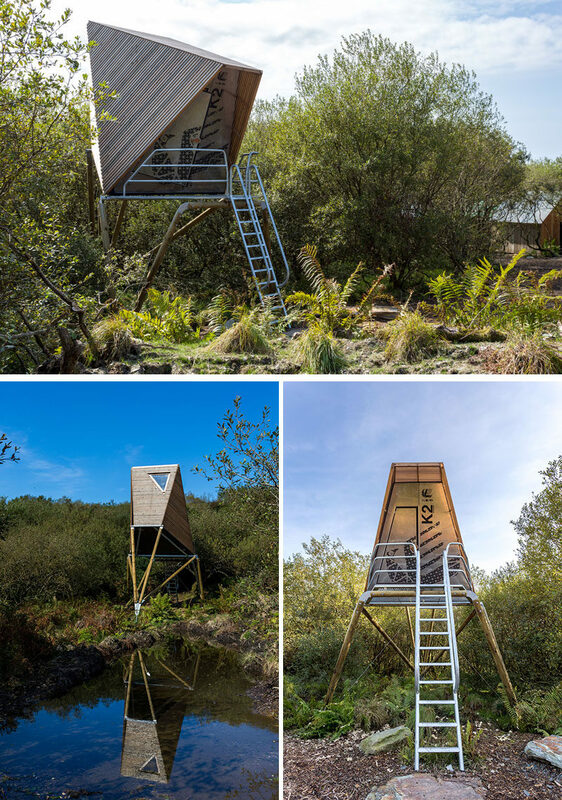 The site also hosts a temporary scaffolding reception building offering a canteen as well as toilets and showers.